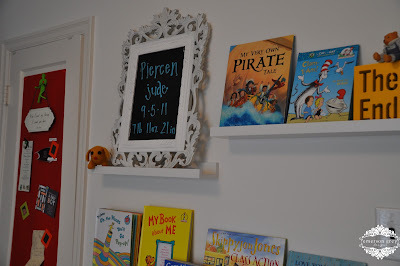 Bookends…not usually a topic to discuss, but can be such a great addition to a room if you really think about the possibilities. 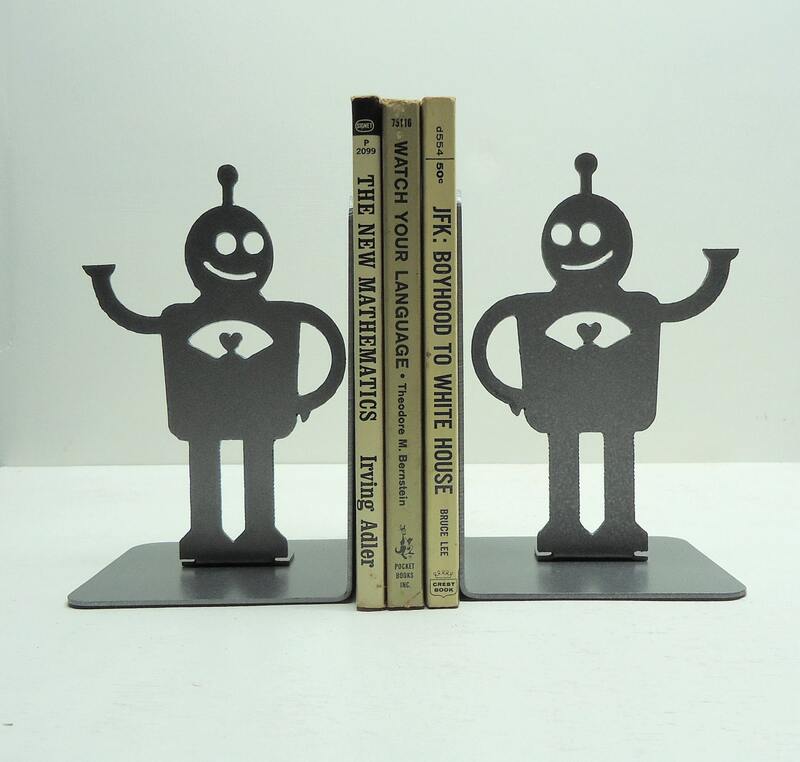 When I began my search for bookends, it was overwhelming how many options there really are. From ceramic to wood, metal and fabric…you have choices galore! 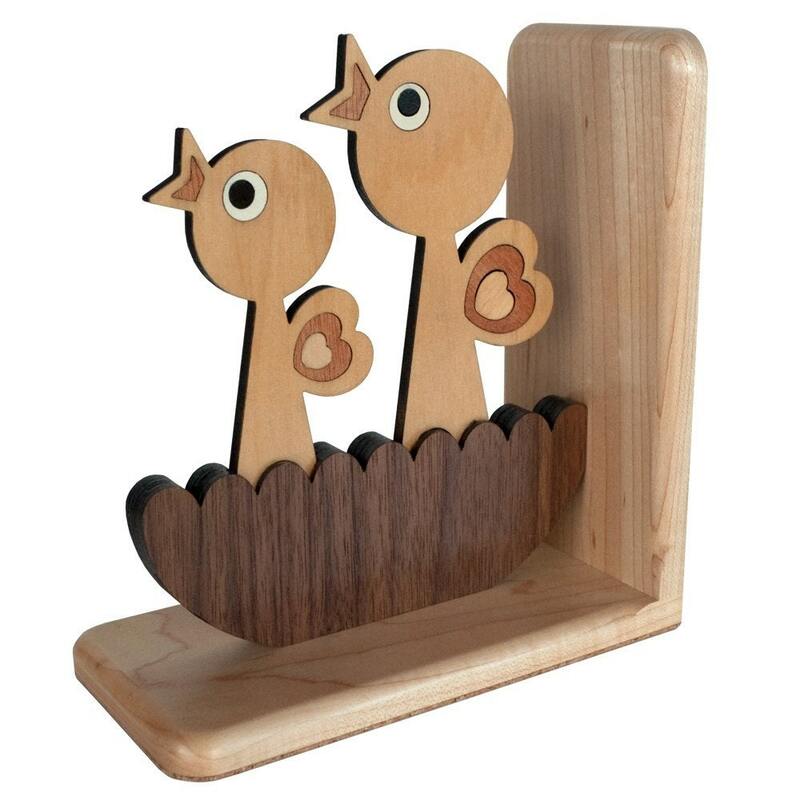 I love the natural use of wood in these baby chick bookends. 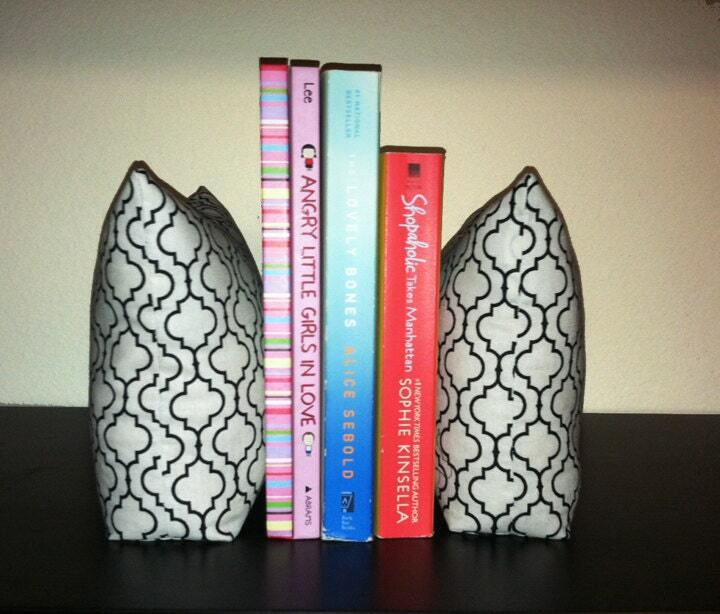 The fabric idea for bookends is also great. The endless options of fabric you can use makes it so fun. A little bit of metal in a room can be unexpected and fun. These metal robot would look amazing in a boys room. And you’ve got to love the little heart. 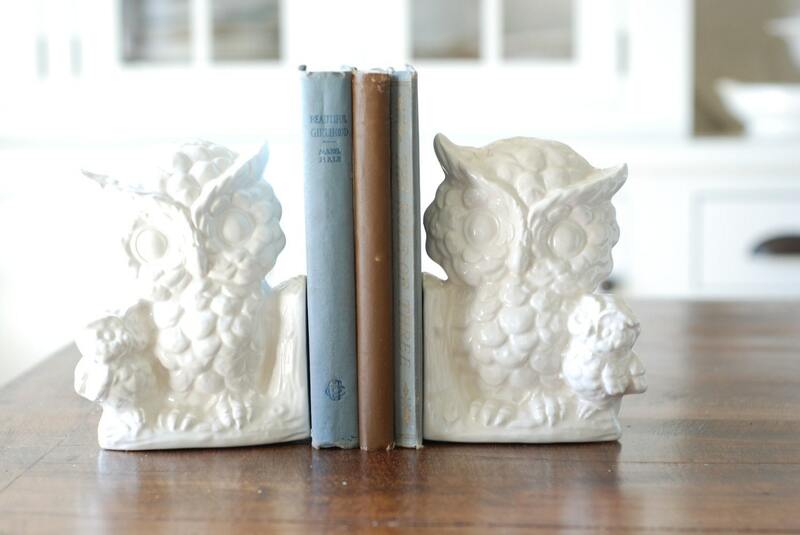 Super fun bookends! I really want the owls! BTW, I am loving that Target desk! You have got to buy it!